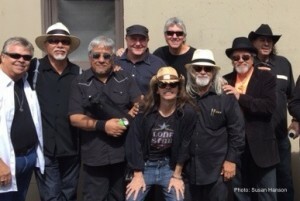 May 31st 2015 Rio Salinas played a triple bill will Louie and the Lovers and headliner The Texas Tornados. Rio was joined once again by Mic Gillette on Trumpet (Tower of Power) and Greg Smith on Sax (The Eagles). Big thanks to the event staff, sound people and stage crew. 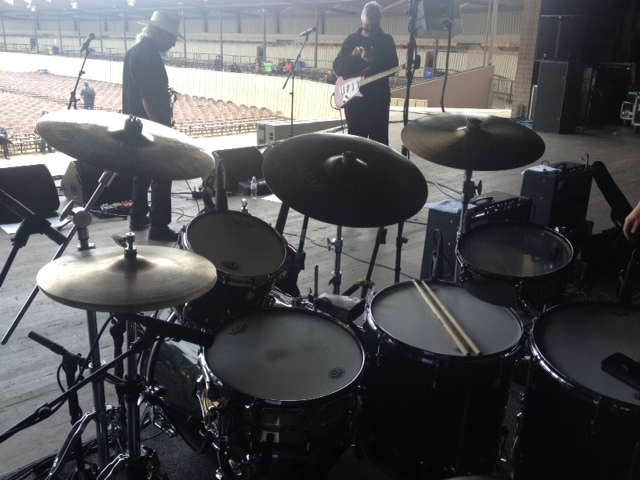 Pretty amazing to play on the Monterey Fairgrounds Main Stage, host to the Monterey Jazz Festival and a stage where Jimmy Hendrix left his mark by burning a guitar during his performance at the Monterey Pop Festival in 1967. The Pop Festival also featured performances by; Jefferson Airplane, The Who, Janis Joplin, Otis Redding, Ravi Shankar and others. 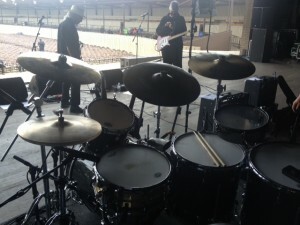 Drum Set during Sound Check. 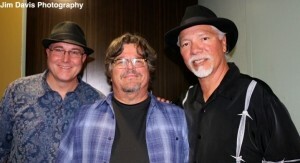 Backstage with Mic Gillette and Louie Ortega. Left to Right: Randy Pybas (RS), Louie Ortega (TT, RS, L&L), Ernie Durawa (TT Drums), DG, Shawn Sahm (TT), Rob Espinosa (RS), Albert Para (L&L), Frank Paredes (RS, L&L). Rio Salinas (RS), Louie and the Lovers (L&L), Texas Tornados (TT).